Yesterday I was moving things around in the upstairs freezer and came across two packages of stew meat - ORGANIC stew meat I got for $5 off a package at Target sometime in the recent past. They looked amazing and this morning I came up with a plan for one - if it is good I want it documented - so I am blogging my recipe as I go. 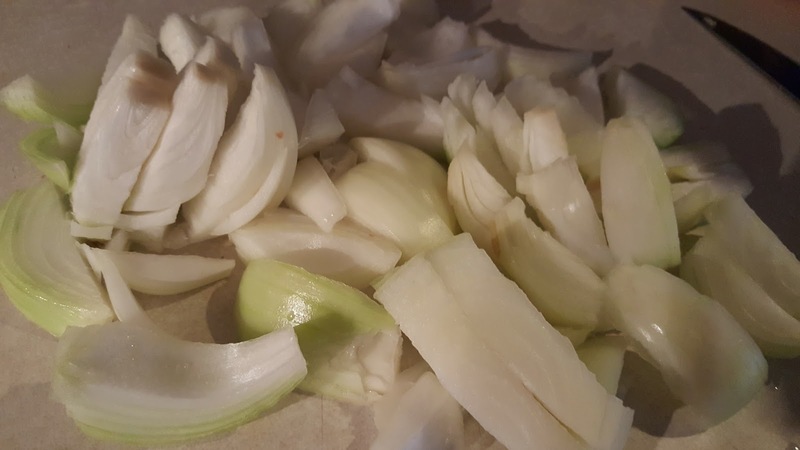 Chop 3 medium onions - caramelize in olive oil for 10 minutes. 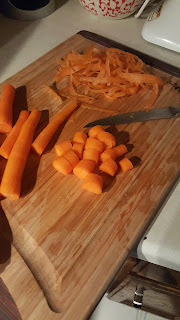 Chop 5-6 medium carrots - add to onion mixture, cover, and cook until softened, 5 minutes. 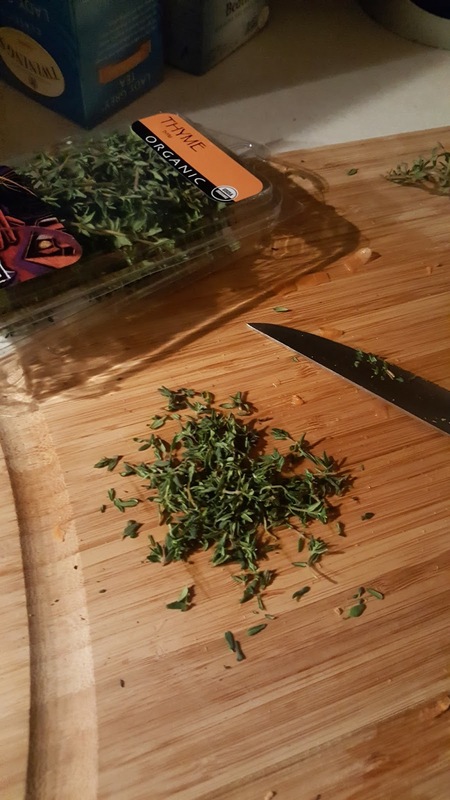 Add two Teaspoons chopped garlic & 1 Tablespoons chopped fresh thyme, 1 teaspoon paprika, and heat until fragrant. Add 1 tsp salt and 3/4 tsp pepper - fresh cracked if possible! Add one 14 ounce can of Tomato Sauce and one 28 ounce can of petite diced tomatoes, reduce heat to low - let simmer for 30 minutes at least. Brown 1 pound of stew meat in olive oil over medium high heat - do not cook through, just brown 5-6 minutes then add to sauce. Meanwhile, cook your choice of rice or pasta to serve the sauce over. This time we used spaghetti and zucchini noodles. *After we had this meal - I think I may cook the beef in with the onions slower - then add the carrots, etc. so that it is more tender. 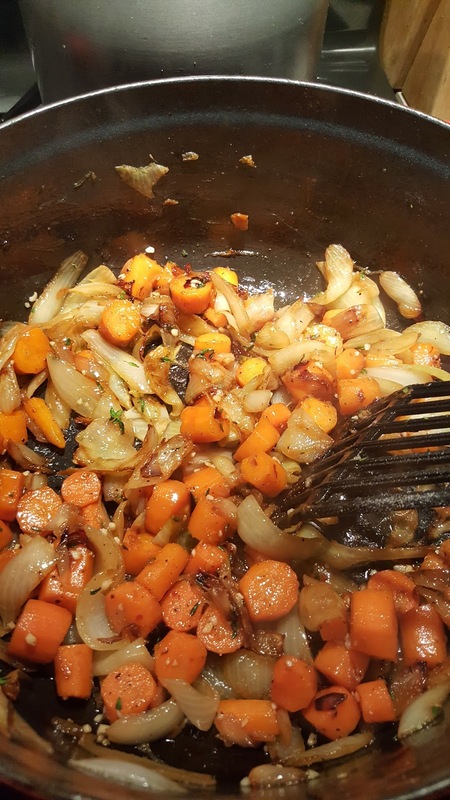 Like get some color on the onions for 10 minutes, add the beef and maybe a little red wine and lower the heat and cover for 15 minutes. I do think the key for any kind of sauce cooked this way is that you use an enamel cast iron pan. Labels: cooking, Mommy loves..., Recipes, save!